Montessori Candy: Happy Feast of Pentecost! We'll be going to our friends house for cupcakes to celebrate the Feast of Pentecost and the birthday of the Catholic Church! 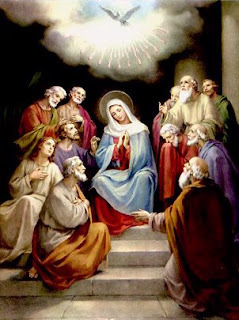 Check out some great ideas for Pentecost over at Catholic Icing!